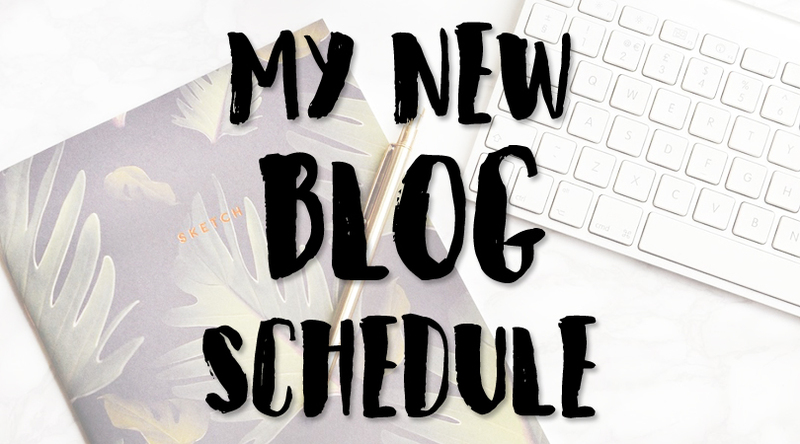 Just like the title of this post say it's a little quick post about my new blog schedule! I've never had one before and the main reason is that I've felt I haven't needed it. But since my blogging game has been on the meh for a some time now I wanted to try this. See if it's easier to focus when you have some sort of deadline I suppose you can call it. And it is! I find it so much easier to focus since I also decided to stay on top of things with one week at least. So before the week ends, next weeks posts should be ready to go live. And since it's easier to focus my motivation upped along with it. There will of course be weeks when it's a day late (because life happens and things get in the way) or one week here and there maybe there's just two posts etc. But I will do my best to commit to this schedule. Do you have a blog schedule? Do you find it works better for you too?